With amazing sunrises, pristine beaches, dining and outdoor sports, it’s no wonder locals and visitors alike find themselves drawn to Baileys Harbor. If you crave adventure and fun, we invite you to see what all the excitement is about. Find your peace hiking among thousands of acres of forests, exploring three majestic lighthouses, or catching air on a soaring kite board. Build a sand castle on our sandy beaches or curl up with a good book and listen to waves crashing. If you seek an adrenaline rush, try reeling in a monster brown trout or salmon or skim through the tree tops on a zip line. Need a little relaxing time? Spend your afternoon sampling local craft beer or wine. Our restaurants range from coffee shops and burger joints to fine dining with picturesque views of our harbor. They pride themselves on serving locally sourced ingredients to please every palate. Stroll along the streets of our downtown district and check out the independently owned shops. No physical Visitor Center, please visit online for information! Come discover a place where classic Door County rings true, where the aroma of fresh roasted coffee is in the air. Where you can spend a leisurely afternoon sampling fine wines or an evening in front of a crackling fire. Welcome to our farm where the sun sets and rises over rolling fields. Where a stroll through the quaint shops is topped off with a scrumptious, satisfying meal or a visit to a friendly neighborhood tavern. Where smiles abound, taking you back to a simpler time. Door County North includes the areas of Ellison Bay, Gills Rock, Rowleys Bay, Northport, Qty Q, German Settlement, and North Sister Bay. 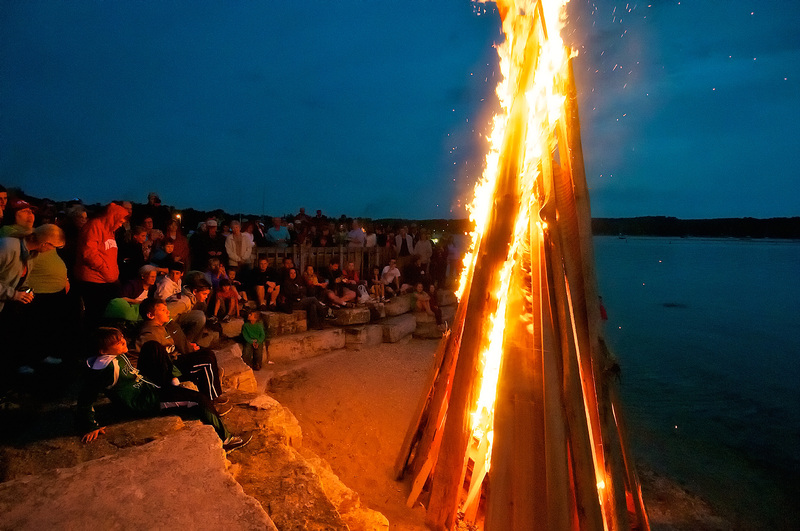 Your exploration of Door County North provides you with the rarest of luxuries – time. Uncrowded and relaxed, you’ll find time to explore pathways of interest that lead you to welcoming small town life, a nature trail in a protected landscape, or to the studio of one of our many master artists – housed in an historic building or nestled in a country garden. “Our Harbor. Your Harbor. Egg Harbor.” Whether you’re looking for a romantic weekend getaway, rejuvenating spa package for the girls, all-inclusive golf outings for the guys, or a fun-packed week-long vacation for your family … Egg Harbor has the pampering accommodations, exquisite culinary experience, amazing beach and marina, performing arts and galleries and an abundance of unique shopping to make it a splendid destination. Voted “Best Small Town in Wisconsin” by Wisconsin Trails Magazine. The Village of Ephraim is nestled along the sunset shores in the heart of the peninsula. Settled in 1853 by Norwegian Moravians, Ephraim’s rich heritage has been carefully preserved over the years in more than 30 historical sites throughout the village. 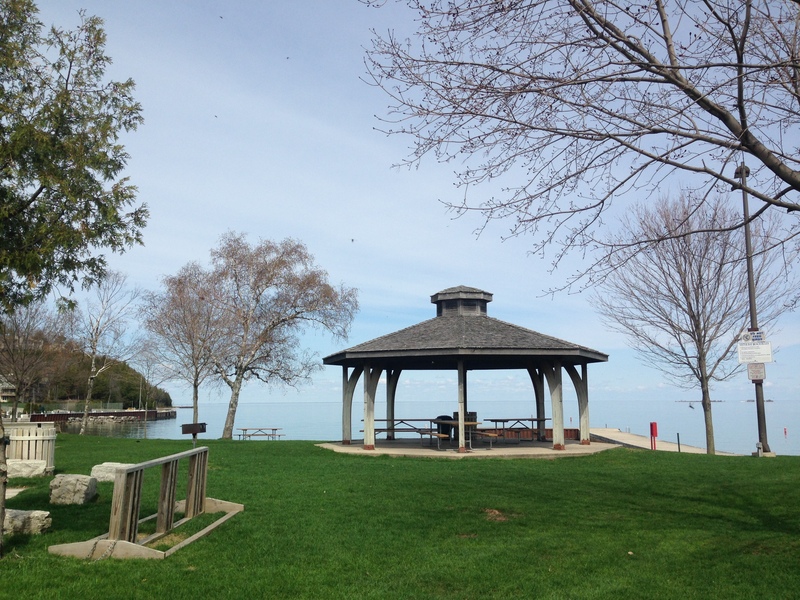 Much of Ephraim’s charm comes from its beautiful and accessible shoreline. Spend your day sailing, beaching, golfing, shopping, dining, observing theatre and the arts, and discovering the village’s rich history. 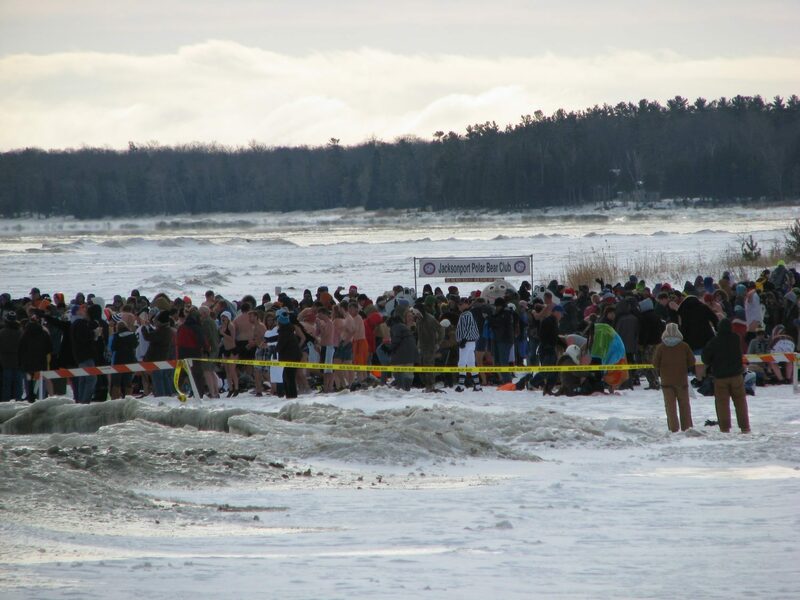 Every January 1st, gather at Lakeside Park for the annual Polar Bear Plunge, and be sure to check out Whitefish Dunes State Park, located just south of Jacksonport, where you can hike amidst the tallest sand dunes in the state of Wisconsin. And don’t miss Cave Point County Park, located next to Whitefish Dunes, to see powerful Lake Michigan waves crashing against the rocky cliffs below. Whatever your activity, local businesses are ready and willing to serve you. 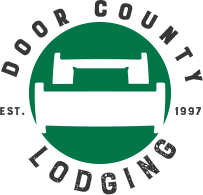 And with Jacksonport’s convenient Door County location, you’re close to all of what the Door County Peninsula has to offer. Sister Bay Visitor Center is located at 2380 Gateway Dr. 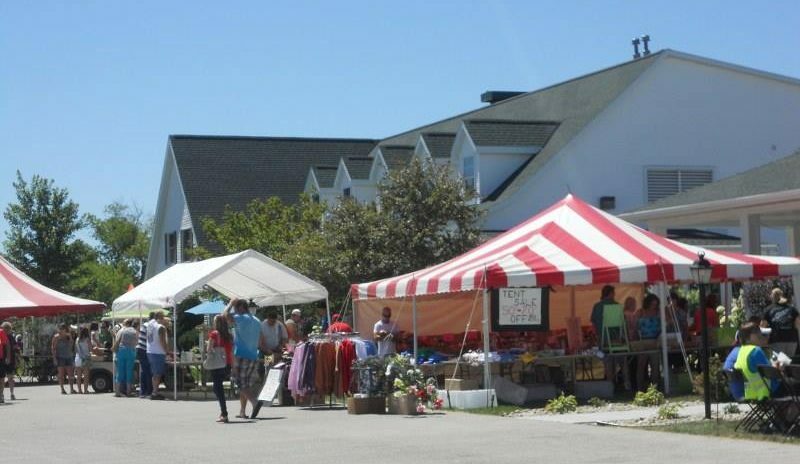 Complete with a beautiful marina and breathtaking shoreline, quaint and friendly lodging establishments, delectable restaurants for every budget and palate, and opportunities for shopping and outdoor recreation, the Village of Sister Bay is northern Door County’s year-round vacation destination. Within the span of three square miles, visitors and residents enjoy a lifestyle unique to the northern end of the Door peninsula. Summers hum with a relaxed energy, while winters offer quiet beauty for reflection and renewal. Each season offers visitors and residents plenty to do – whether your interest lies in basking on the beach, ice fishing on the frozen bay, shopping in unique boutiques, picking apples under an umbrella of golden leaves, or sampling award-winning fine or casual cuisine. Sister Bay offers you the setting to unplug from your daily responsibilities and reconnect with family and friends. Sturgeon Bay Visitor Center is located at 36 S 3rd Ave.
Anchor your next getaway in Sturgeon Bay, the hub of Wisconsin’s premier vacation destination; Door County. 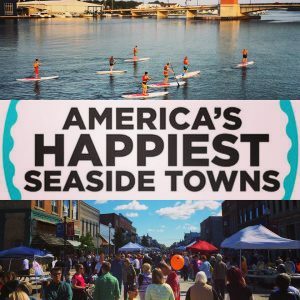 The community of Sturgeon Bay itself, with its well-planned waterfront walkways and sail up businesses, is readily accessible from the water, making it easy for visitors to come ashore and enjoy the city’s wide selection of amenities and activities- all within walking distance. Once in port, stroll through the charming downtown where you’ll find quaint eateries and specialty shops with fine art, fashionable clothiers, home accessories, and holiday selections. While here, enjoy a wide selection of restaurants, art galleries, museums, parks and unique attractions as well as theatrical performances, picturesque lighthouses and the historic working waterfront.